Dustin Burge inherited the lead with 15 laps remaining and went on to win his first Champion Racing Association Street Stock feature of the year at Anderson Speedway on Saturday, August 2. 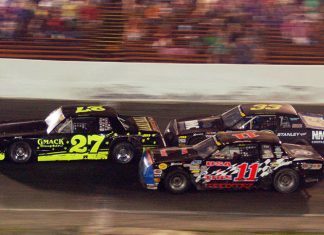 The 2014 racing season will conclude at Anderson Speedway on Saturday, October 25 with the Stoops Freightliner Night of Thrills. 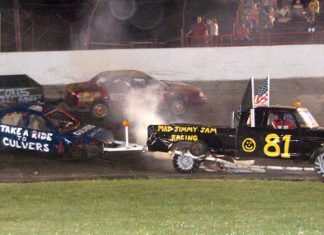 Featured races include Tom Raper RV Trailer Race, Roll Over Contest, Mattress Race, Hour Glass Race and Cork Screw Race. 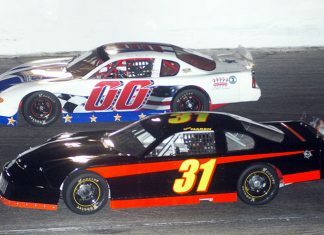 Anderson Speedway returns to racing action on Saturday, August 2 with Murat Shrine Night that will showcase five divisions. 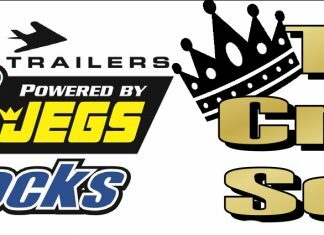 The Stealth Trailer CRA Street Stocks, Front Wheel Drives Oval & Figure 8′s, Indy Faskarts and Pro Compacts kick off the month of August at the Madison County racetrack. 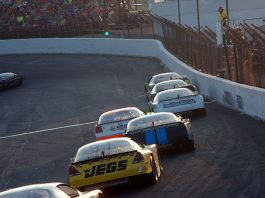 The McGunegill Engine Performance Late Models and Vore’s Welding CRA Late Model Sportsman Powered by JEGS will return to action in the PGG 100 Presented by Thompson Builders on Saturday, September 13 at Anderson Speedway. 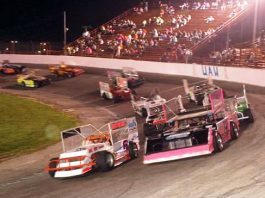 The Winged Outlaw Figure 8 Series (WOFS) will be showcased in a 50-lap feature and the Thunder Roadsters will compete in both a make-up feature and regularly scheduled main event. 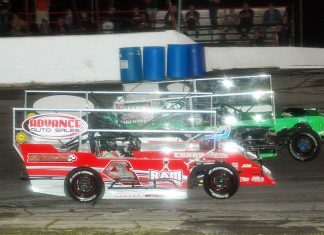 A CRA Street Stock race at Anderson Speedway in June will be one of three big-payoffs this season for the traveling Champion Racing Association division. The first of these three CRA Street Stocks races is scheduled for April 4 at Shadybowl Speedway in Degraff, Ohio and because of that race, Anderson Speedway’s early-season schedule has been adjusted. 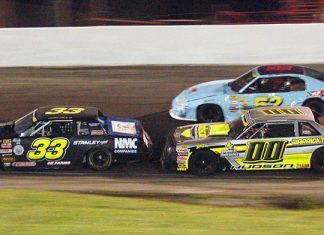 Racing action returns to Anderson Speedway on Saturday, September 6 with Stealth Trailers CRA Street Stocks, NASH FM ThunderCars and Pro Compacts. The Stealth Trailers CRA Street Stocks will make their fifth appearance at Anderson Speedway on Saturday. Drivers that have earned CRA victories this season include Josh Poore (May 3), Bret Miles Jr. (June 21), Jason Atkinson (July 12) and Dustin Burge (August 2). 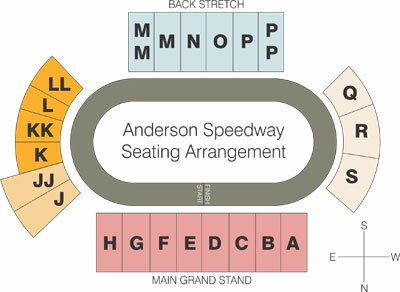 One of the marquee events at Anderson Speedway is set for Saturday, August 9 when the 65th National Crown will take place featuring the Winged Outlaw Figure 8 Series (WOFS). The Front Wheel Drives Figure 8′s, Thunder Roadsters and Vore’s Compact Touring Series will also be in action. Rain and frigid conditions forced Anderson Speedway officials to postpone the Wick's Pies Triple 100's to Sunday, October 19. 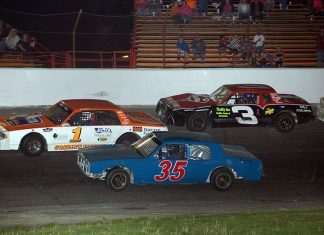 On Sunday, the Street Stocks, NASH FM ThunderCars and Vore’s Compact Touring Series will compete in 100-lap features. 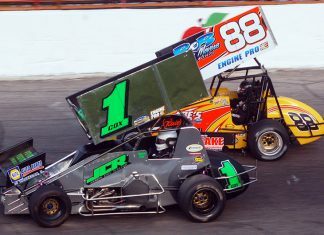 Anderson Speedway returns to racing action on Saturday, August 16 with the second appearance from the Must See Racing Xtreme Sprint Series. The NASH FM ThunderCars and Front Wheel Drives Oval divisions will also be part of the racing program.